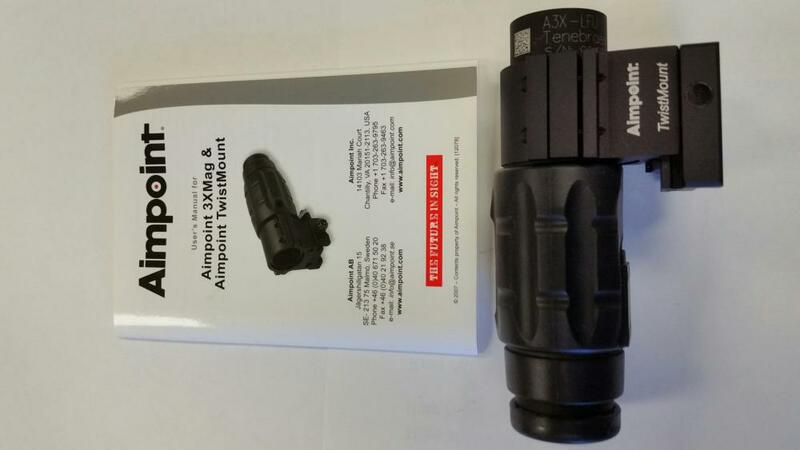 I have a couple of Original Aimpoint 3X twist Mount Magnifiers as new, just handled, retail is 836.00 from Midway,,,575.00 each with ARD /Killflash complete. 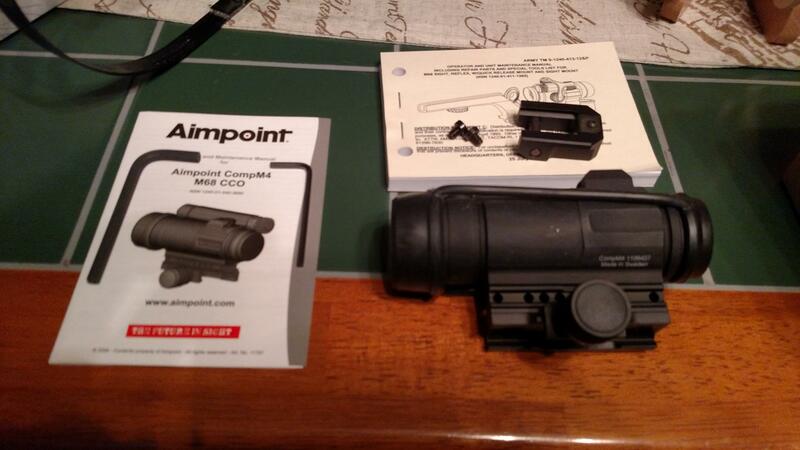 Also have as new a couple of Aimpoint Comp M4s with Killflash/ARD rail mount, 80,000 hour battery life, 450.00 ea. is best used when mounted behind an Aimpoint sight; this gives 3x magnification through the tube, while still having the Aimpoint's illumination visible. Different mounting options are also available for any firearm with a Picatinny-style rail using the Aimpoint TwistMount system, or with standard 30mm rings. Anodized aluminum with a rubber cover makes this magnifier waterproof up to 67 feet. Greg has the coolest items and a good value every time. I have done a lot of business with him. You can deal with Greg with confidence.